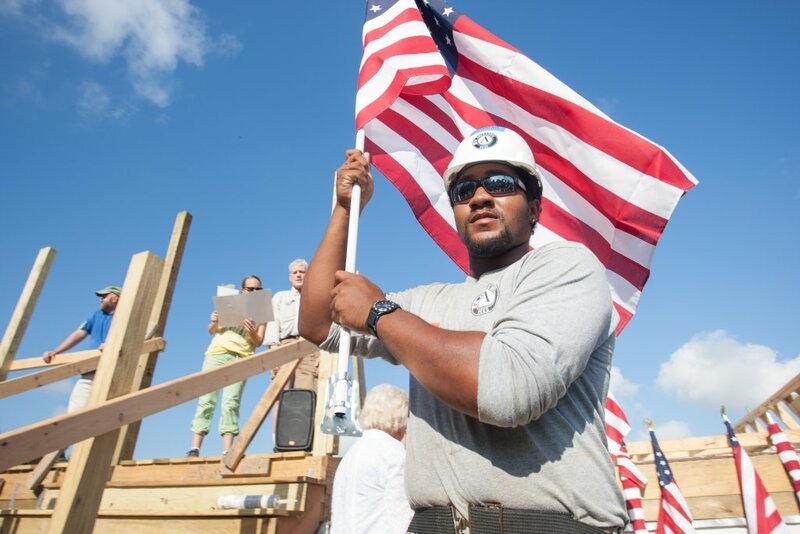 Habitat Texas is committed to supporting Veterans impacted by Hurricane Harvey. In partnership with the Texas Veterans Commission, Habitat Texas’ Harvey Recovery Veteran Repair Program will help address the need in hurricane devastated counties. Habitat Texas defines a critical repair as any disrepair that threatens the health or safety of the occupants or any home modification necessary to provide safe accessibility for disabled persons. Exclusions: The program excludes cosmetic repair. If you are a veteran in need of assistance please complete the Veteran Interest Form. A Habitat for Humanity Texas staff member will contact you within a week of receiving your information. During that week please look over the Required Documents List for applying for assistance through the Harvey Veteran Repair Program. For the Veteran’s Repair Program Habitat for Humanity Texas seeks to hire licensed contractors or companies to perform critical home repairs covering a wide range of home repair projects during the 2019 year in the Texas coastal areas affected by Hurricane Harvey. The repair, rehab, or modification will fall within at least one of the following categories of repair service examples listed here but are not limited to: -Extensive interior or exterior work -HVAC and or/furnace system replacement -Doors and Windows replacement -Siding and trim repair or replacement -Roof repair or replacement -Floor and wall repair -Foundation repair -Sidewalk and driveways -Accessibility Modifications: wheelchair ramps or space reconfiguration -Mold remediation -Electric –Plumbing. If you are interested in working with Habitat for Humanity Texas to complete home repairs during 2019, please submit your construction repair specialties, licenses, and insurance information to our Project Manager Terrence Sommers at terrence@habitattexas.org.